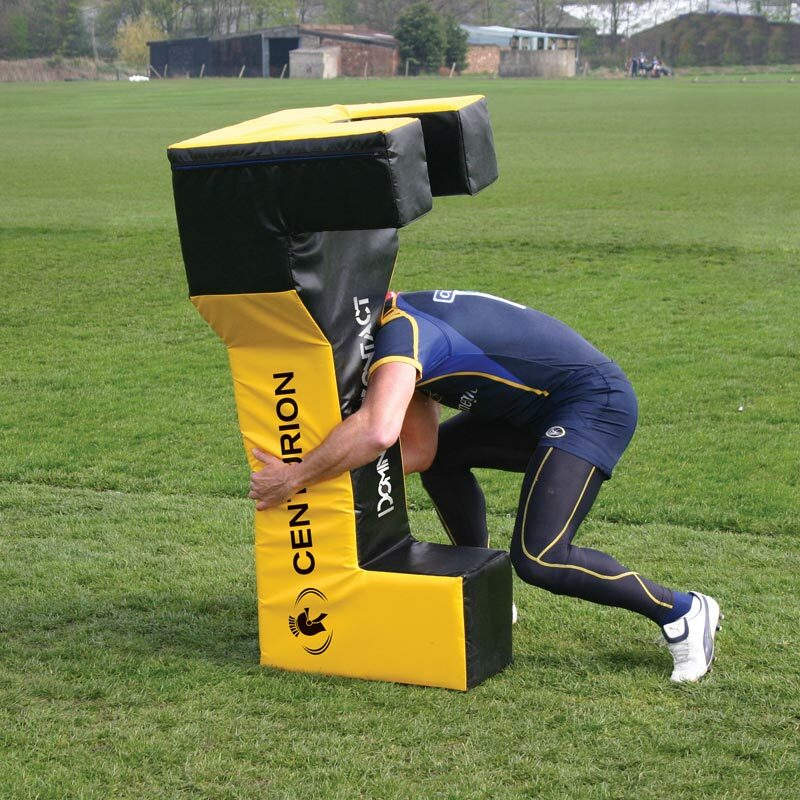 The Centurion Dominant Contact Jackal Tackle Bag promotes dynamic defensive simulation. The DC300 is designed to simulate the movements of the tackler before and after the contact. It gives the tackler the opportunity to choose the correct technique and simulate his exact movements before, during and complete the tackle by contesting the ball. Most importantly, it allows the tackler to condition himself to the "Jackal" after completion of the tackle. Defensive tackle to develop Dynamic Tackling Technique. Dynamic ruck ball and Contesting the ball in the Tackle (Jackal). Encourage players to stay on their feet. Coach players to get back on their feet. The unique design allows it to be used for rucking drills simulating the contested tackle area. The DC300 also allows the coach to make the simulation of the tacle more "real" by introducing dynamic movement.